The Jefferson Courtyard can accommodate all of your upcoming functions, no matter how large or small. 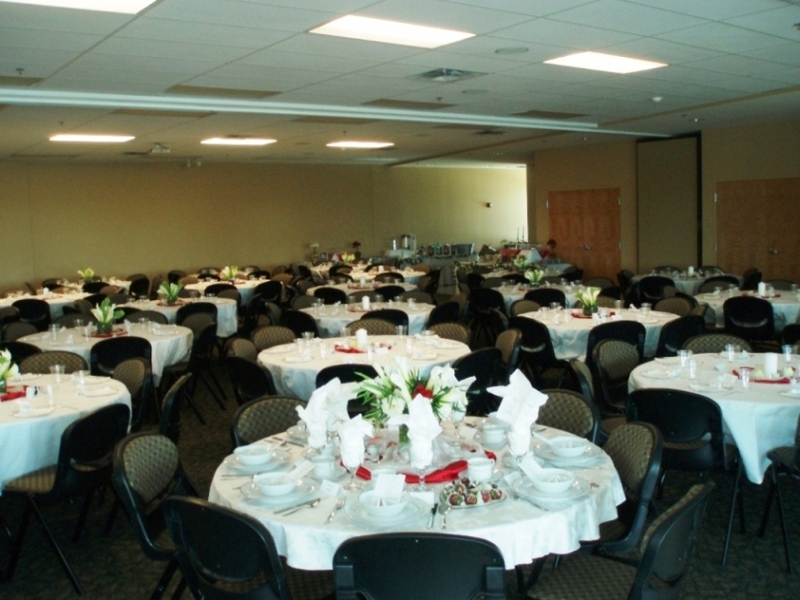 From formal banquets and receptions to casual family reunions, we can help make your event an unforgettable success! The entire courtyard is 4,900 square feet, and can be divided into three individual rooms that range in size from 1,300 to 1,600 square feet. We have both round and rectangular tables, and set up is included in the price of your rental. The Jefferson Courtyard and the Cass Room provide access to the catering kitchen and the gated patio. We can supply a wide variety of audio / visual equipment, including projection screens for Power Point, DVD or television viewing are also available in the Cass and the Harrison rooms - there is also a portable bar available for a minimal fee. We have WiFi access - free of charge! Contact our Recreation Coordinator of Member Services today for more details. You may complete a Facility Request Form that can be submitted electronically by email. The form can also be printed and submitted as a hard copy at the Front Desk of the Community Center.